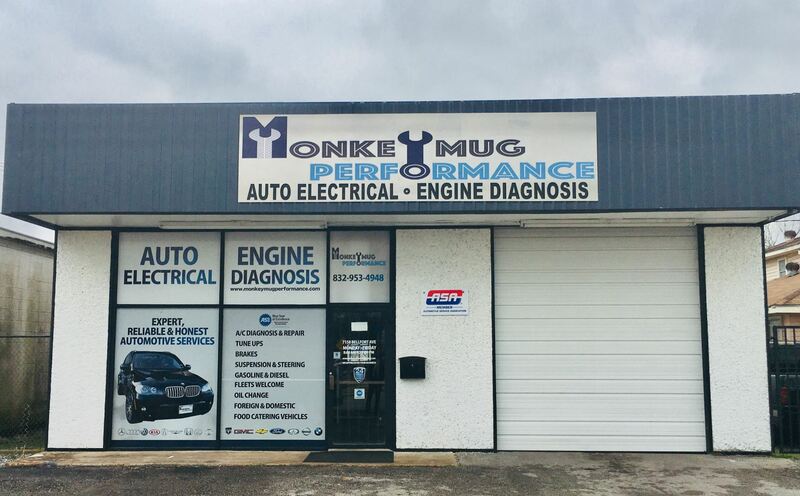 Established in 2013, Monkey Mug Performance is a family owned business delivering professional and honest automotive repair services. The quality ASE (Automotive Service Excellence) certified technicians at Monkey Mug Performance employ today’s latest automotive technology and are equipped to work on all types of domestic and imported vehicles, including cars, medium trucks, and will even come to your location to service your diesel tractor trailers. We also service catering trucks, including the heating and refrigeration units in the rear of the vehicle. Here at Monkey Mug Performance we know that your vehicle is a large investment, and we strive to care for each customer’s vehicle as though it were our own. We currently offer 24-months/24,000-miles of worry-free protection on qualifying parts and labor.